The Lineare tall mono basin mixer has a distinctive design that creates an instant style statement in any cool and contemporary bathroom. 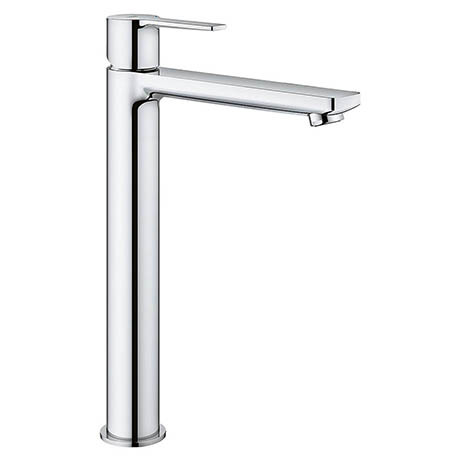 Its extra high spout makes it ideal for freestanding basins. This premium tap comes with a continuously variable water temperature and volume adjustment technology, ensuring effortless lever operation even after years of use. Crafted from high quality materials and finished in a special chrome coating that is scratch resistant and easy to clean.